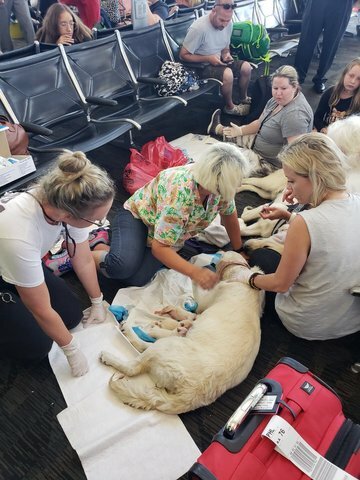 TAMPA, Fla. — Commuters at Tampa International were hit with a serious dose of puppy love on Friday afternoon. Elli, short for Eleanor Rigby, is a two-year-old Labrador Retriever and service dog. She was waiting to fly to Philadelphia with her owner Diane Vanatter when she went into labor.